Quarterly online newsletter for the members of NYS TESOL focused on themes of interest to ESOL professionals. 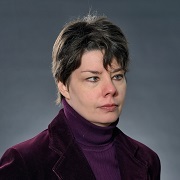 Genie Smiddy has been tutoring or teaching undergraduate and graduate students writing since 2005. During this time she has taught in the intensive English program for St. John’s University as well as in Hunter College‘s freshman composition and introduction to literature courses. Very early on, this work sparked her interest in the unique experiences of ELLs in American universities, particularly in how they respond to writing and the revision process. She holds both a B.A. in Art History and an M.A. TESOL from Hunter College. Ann Wintergerst is Professor of TESOL in the Department of Languages & Literatures at St. John's University where she established the university's first ESL program and served as its first director. A bilingual speaker of German, she holds an EdM (Applied Linguistics), MA and EdD (TESOL) all from Teachers College, Columbia University. Having served as Promising Practices Editor for over 20 years, she has authored five books: Tips for Teaching Culture (w/ J. McVeigh), 2011; Crossing Cultures in the Language Classroom (w/ A. DeCapua), 2004, with the second edition in press; Focus on Self-Study: Evaluating Postsecondary ESOL Programs (1995); and Second Language Classroom Interaction (1994).She has authored over 70 professional articles and delivered over 90 conference presentations on topics such as language and culture, learning styles, heritage language, classroom interaction, academic program review/self-study, writing assessment, professional standards, and advocacy for part-time faculty. A past president of NYS TESOL and a past chair of TESOL's Higher Education Interest Section, Wintergerst was elected to the 2015-2016 TESOL Nominating Committee.